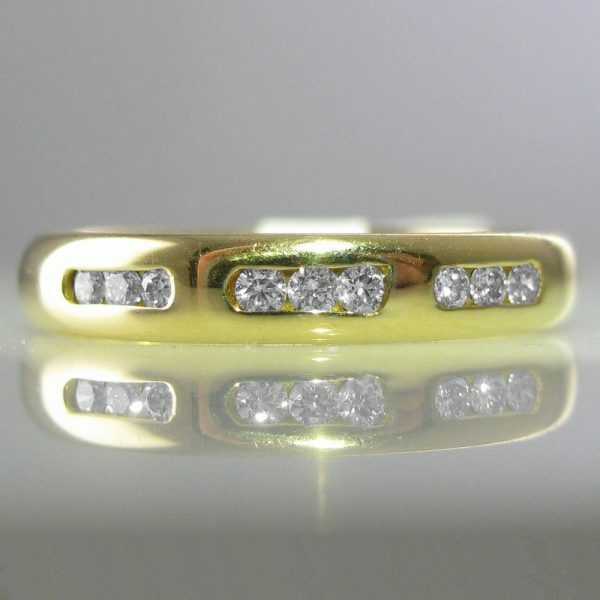 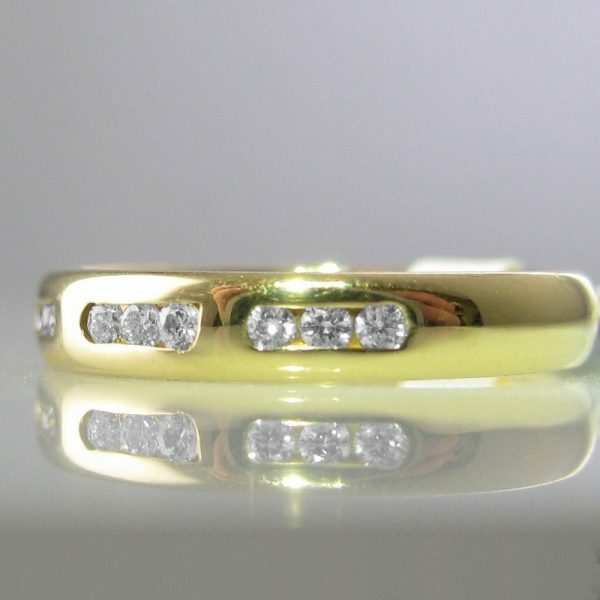 Diamond eternity ring set in 18k gold. 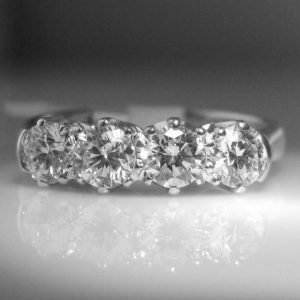 This beautiful channel set diamond ring has nine round brilliant cut diamonds with an estimated weight of 0.1 carat. 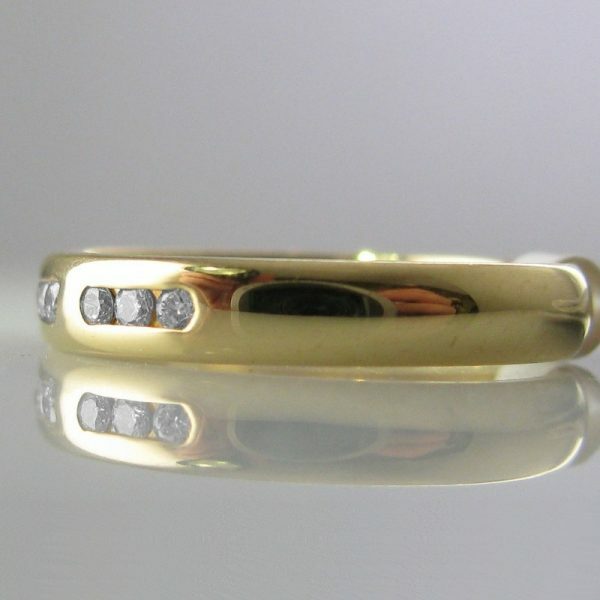 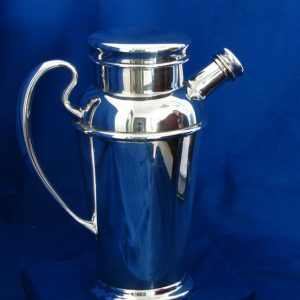 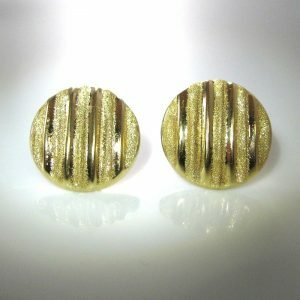 This highly polished finish makes it very easy to wear. 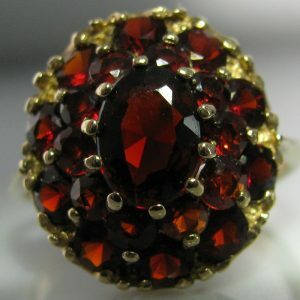 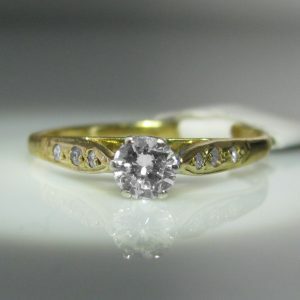 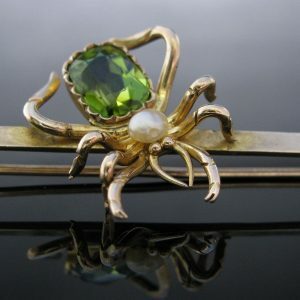 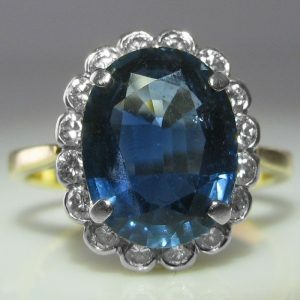 The ring is currently size K but can be resized up or down, free of charge, as required by you.